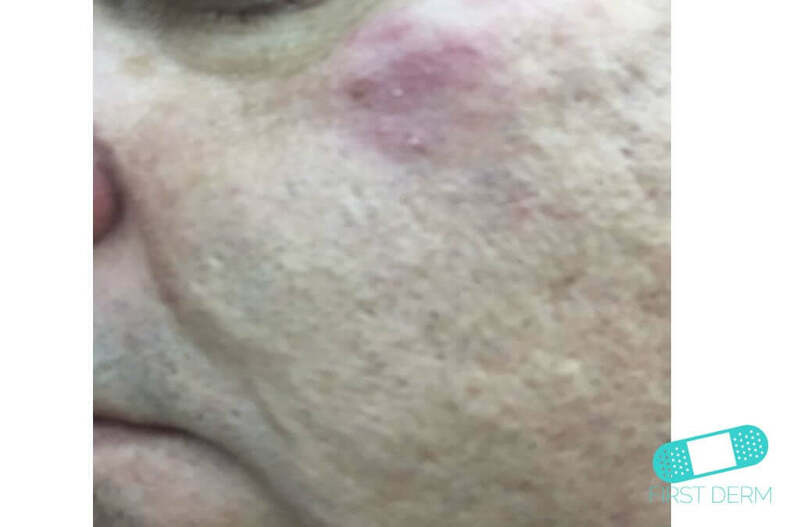 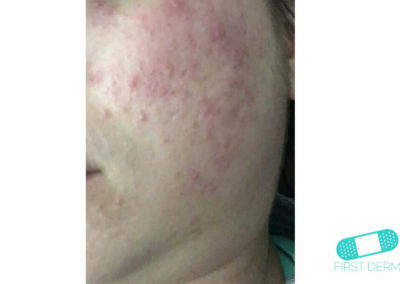 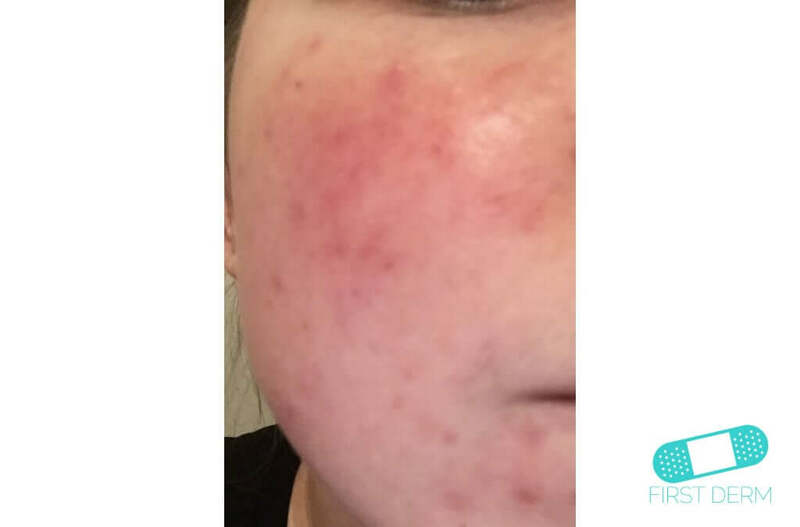 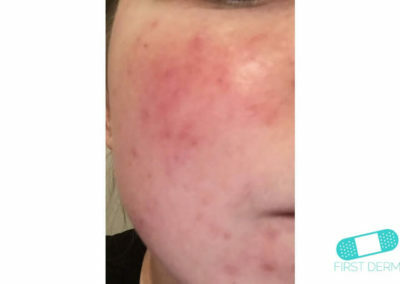 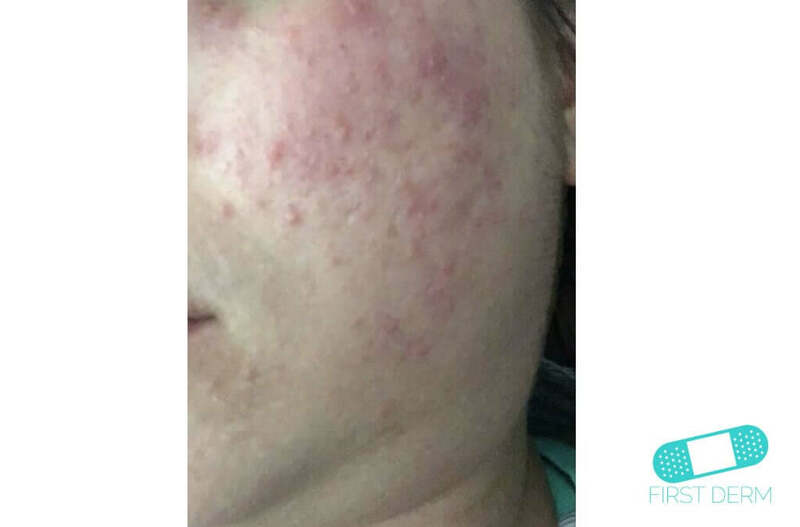 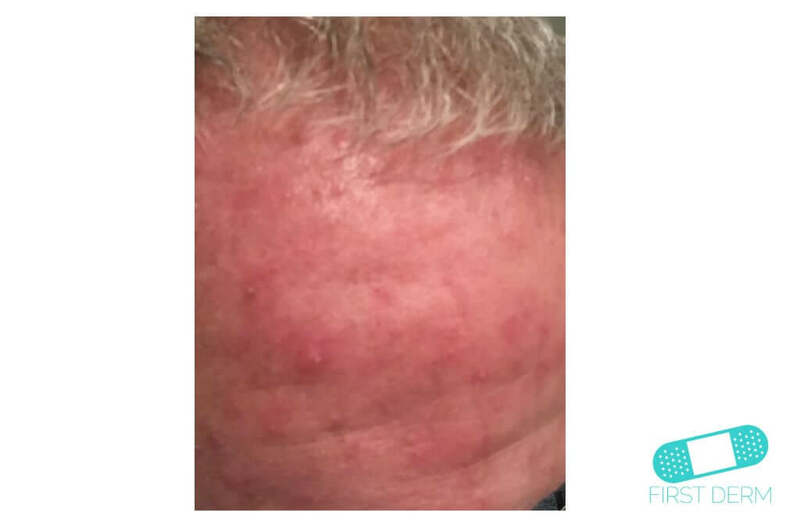 Rosacea is rashes and/or redness on the face, which is triggered by a variety of irritants: extreme temperatures, sunburn, stress, anxiety, medications, and diet. 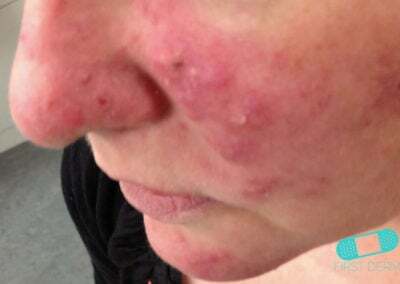 The disease is most common in middle-aged people and slightly more common in women than men. 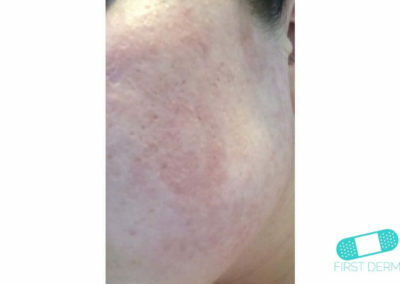 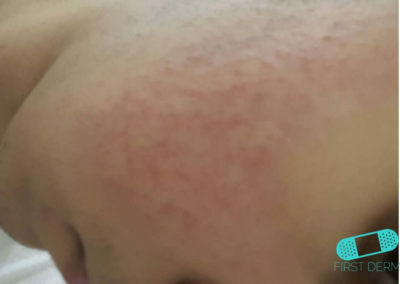 Rosacea is marked by hot or sticky sensitive skin, and sometimes red bumps. 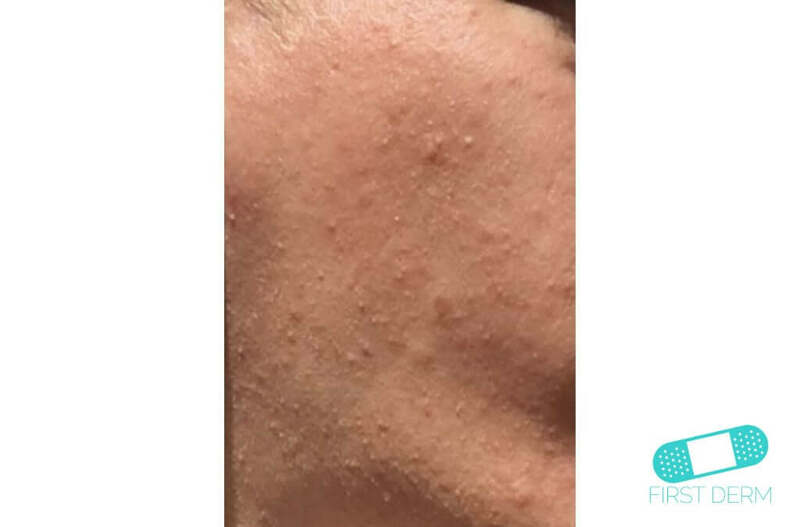 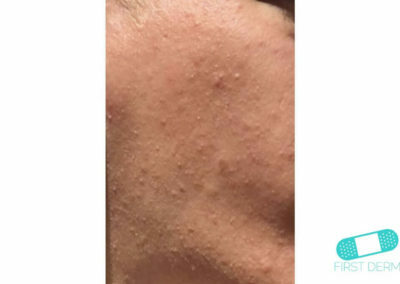 They can look like acne. 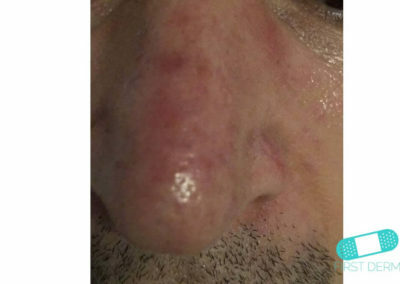 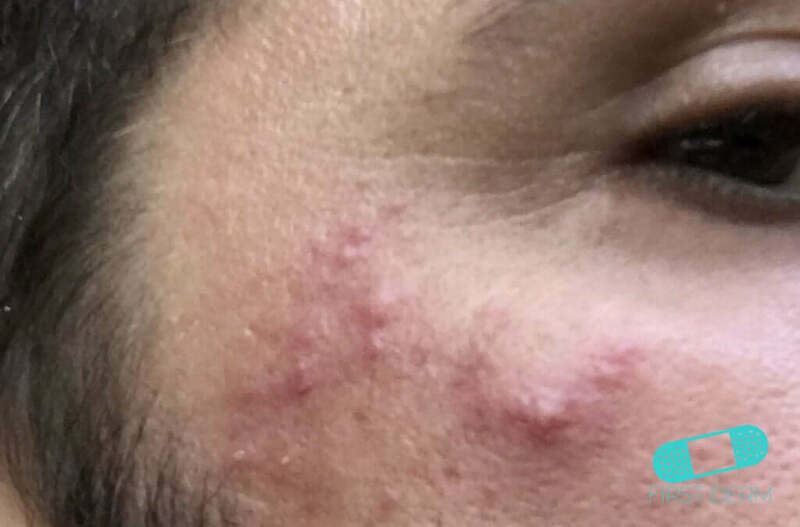 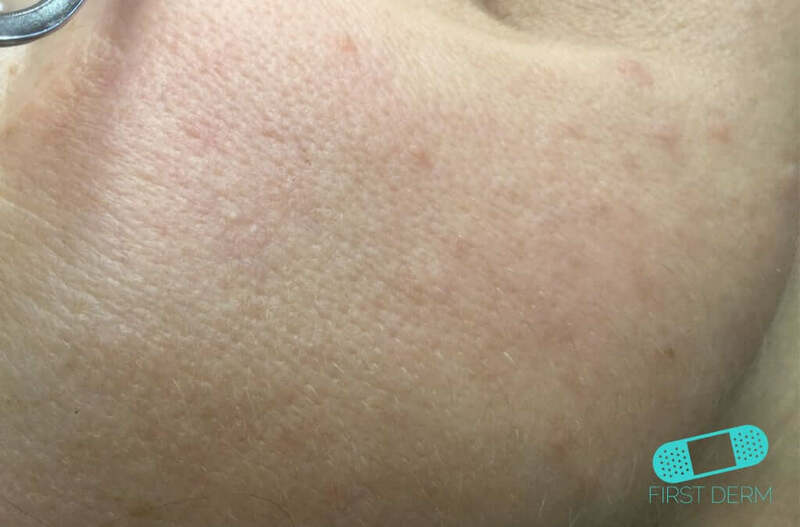 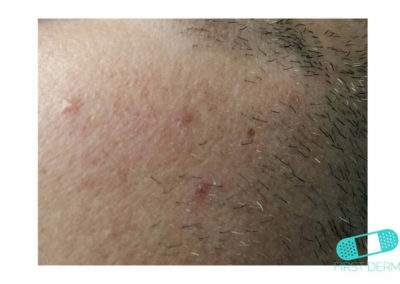 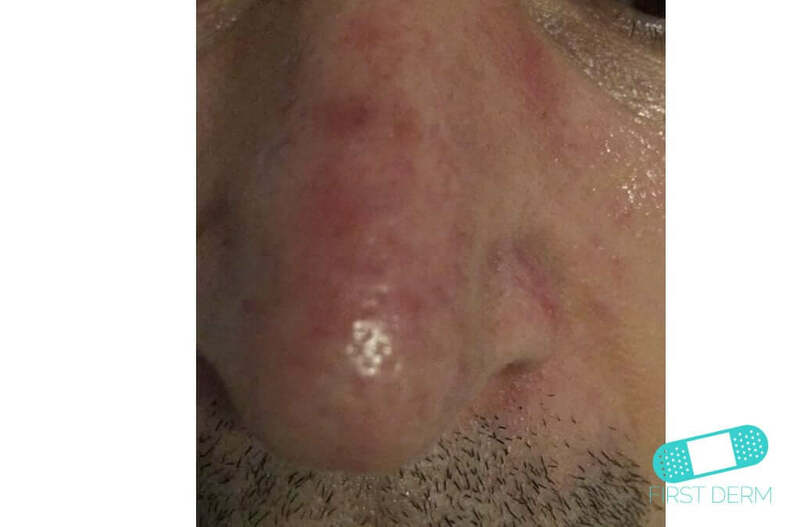 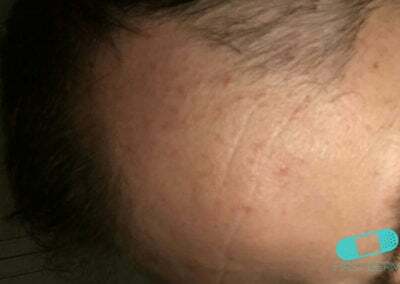 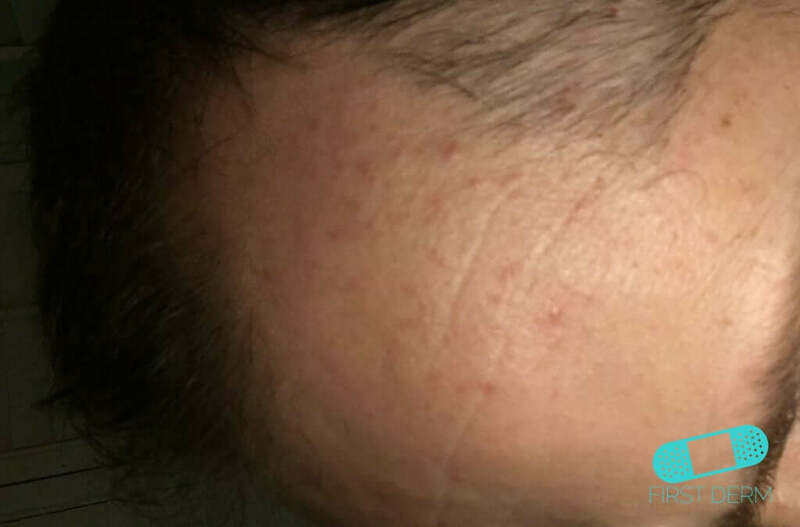 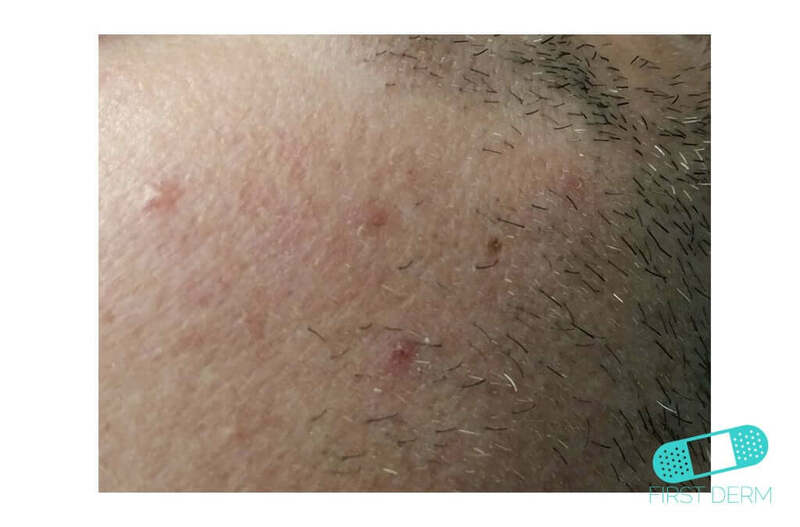 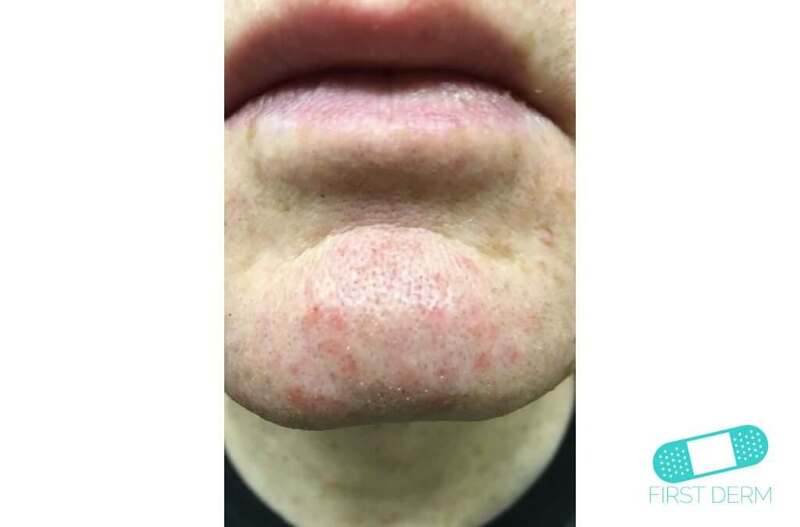 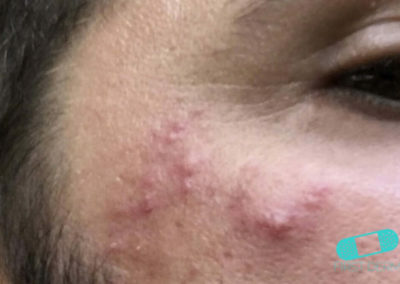 Other symptoms include dilated superficial blood vessels, red skin, small pustules, coarse pores and enlarged sebaceous glands. 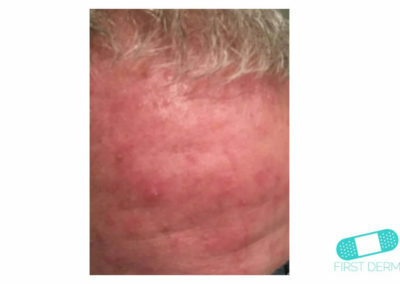 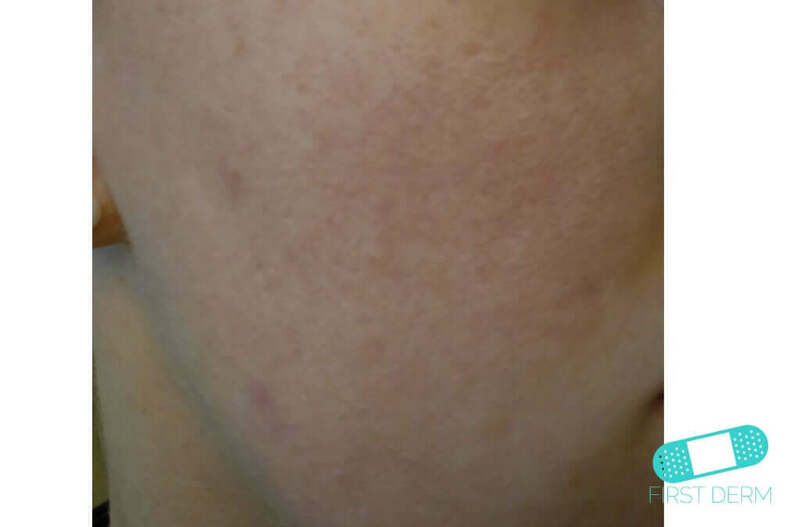 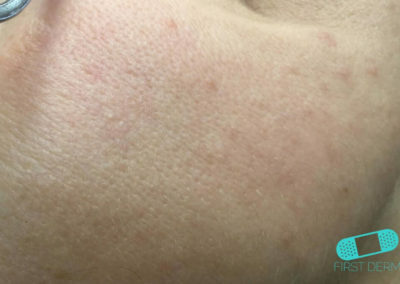 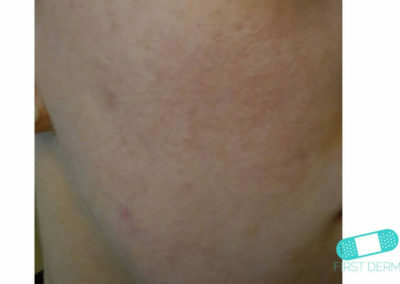 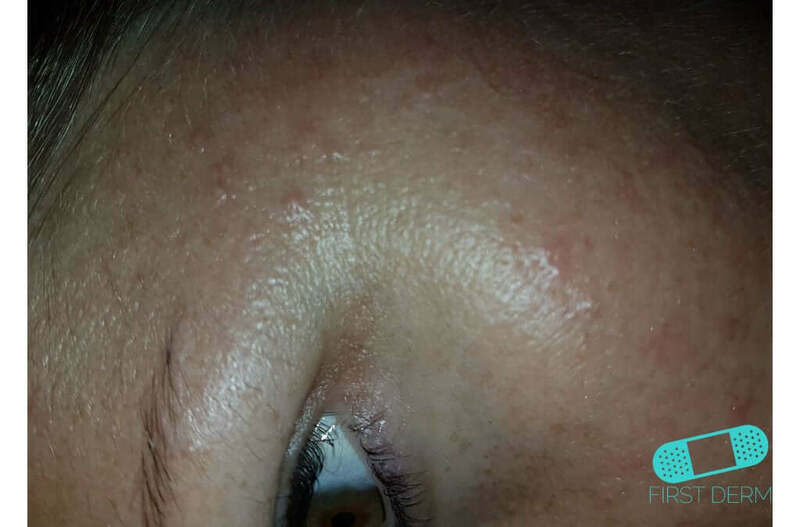 Rosacea often appear as lesions on the forehead, nose, cheeks and chin. 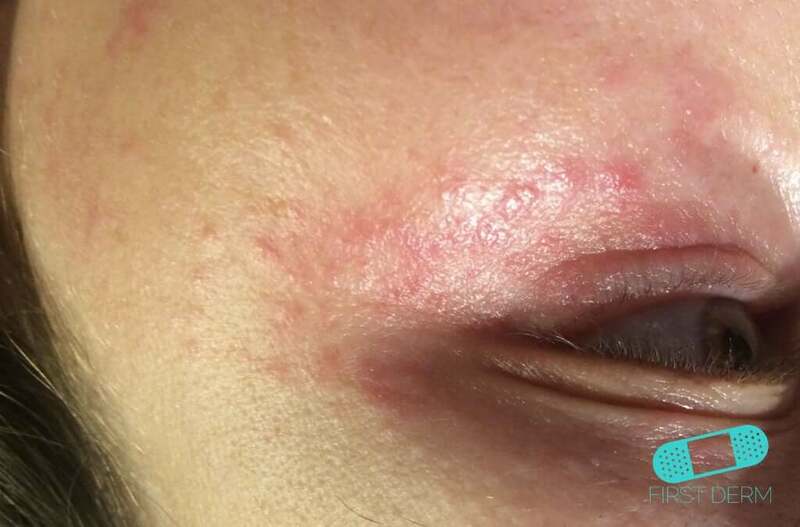 Sometimes your eyes and the skin around the eyes can become red and irritated. 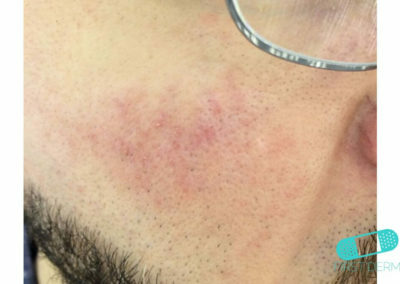 If you suspect that you have rosacea, you should avoid possible triggers. 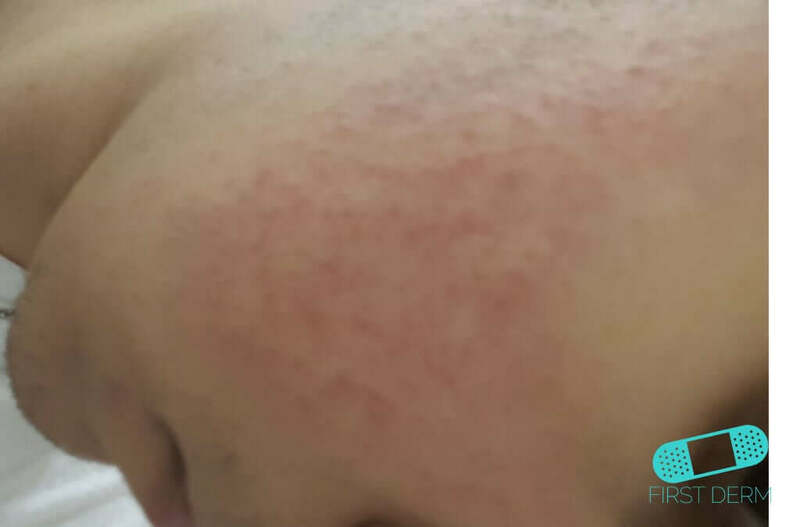 Creams with metronidazole usually work well and do not require prescription. 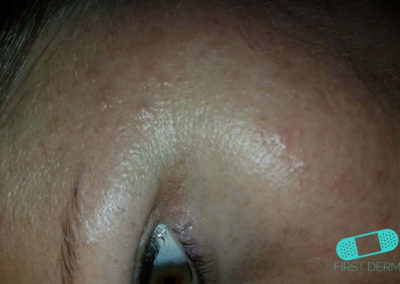 You should not use cortisone cream, as it may worsen the symptoms. 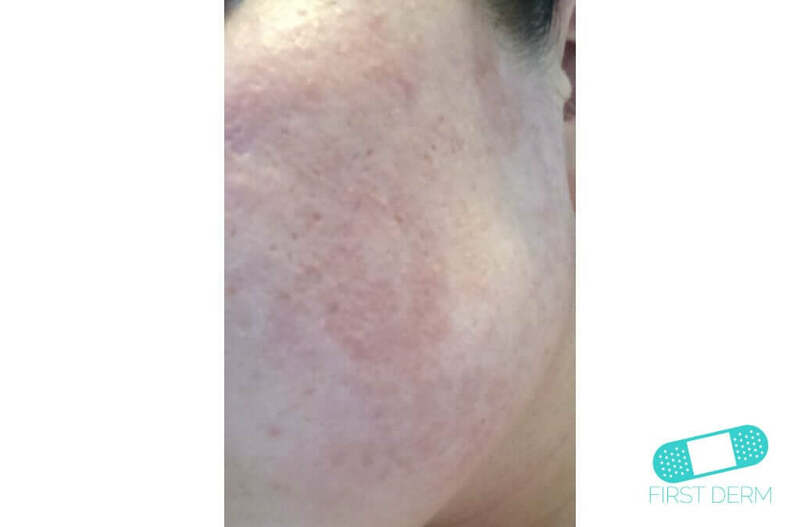 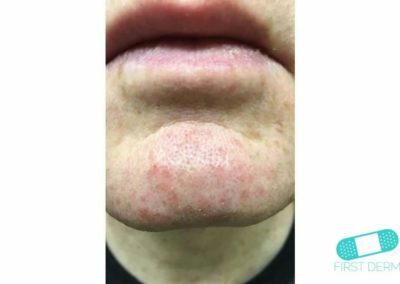 Only a doctor can determine if you have rosacea. 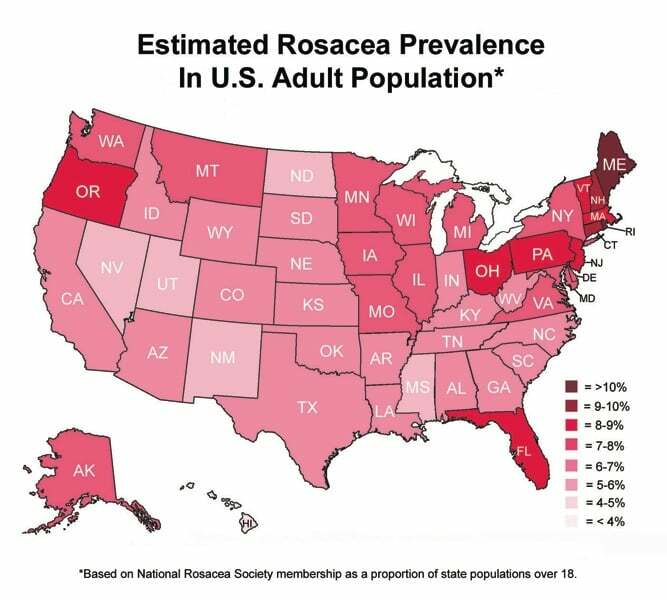 If you suspect that you have rosacea, you should have a doctor examine the affected area. 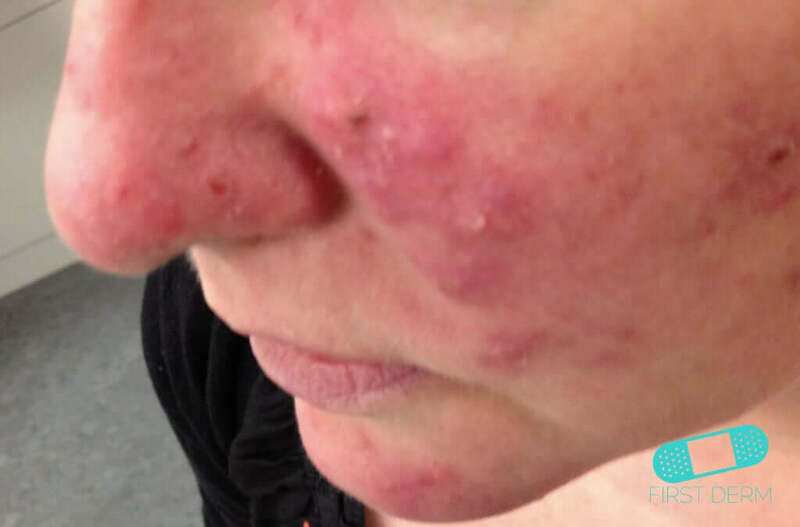 Topical antibiotics can relieve symptoms, but rosacea is chronic.  Avoiding the sun and emotional stress reduces the chances of an outbreak. 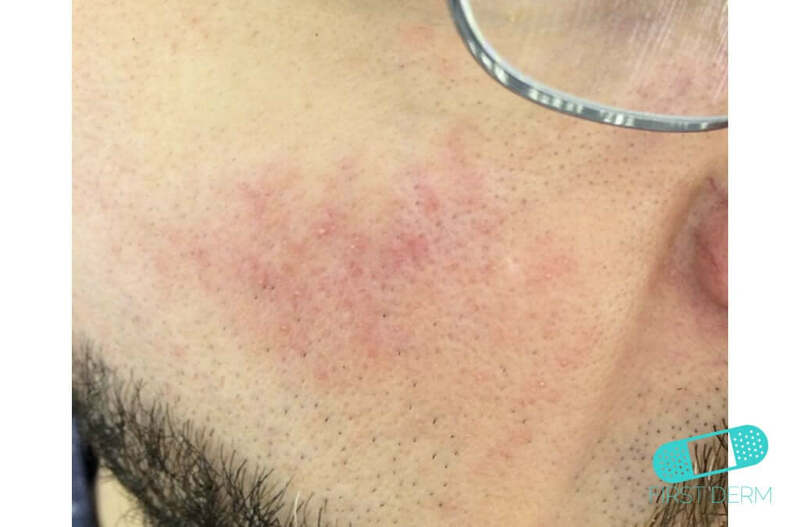 There are prescription drugs that contain azelaic acid, which help alleviating symptoms by lubricating the skin. 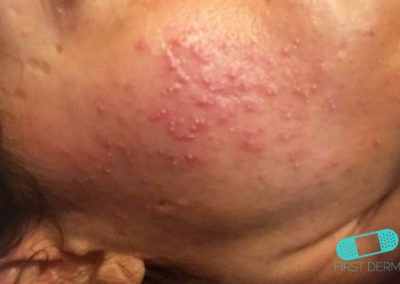 If that does not help, you can get antibiotics in pill form, but the treatment time can be long. If the symptoms return, you may need to repeat the treatment. 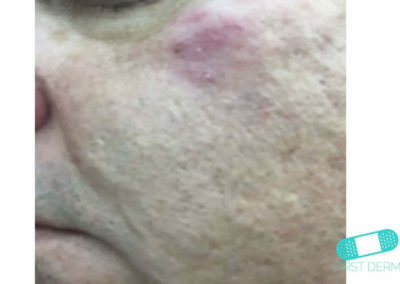 The superficial blood vessels can be treated with laser technology if you are extremely disturbed by the disease.